PARIS --- The controversy that has again flared up in Canada about the planned purchase of F-35 fighters is a perfect illustration of the stubbornness with which some governments are pursuing plans to buy this controversial aircraft despite all of the documented technical faults, schedule slippages and cost-overruns that have been revealed in excruciating detail in recent years. This is a particularly appropriate time to review the program’s progress as 2012 marks the tenth anniversary of seven foreign countries’ signing on to the program. The eighth foreign partner, the United Kingdom, had joined the year before. During this past decade, a long and still growing list of government agencies (Congressional Research Service; Government Accountability Office; Congressional Budget Office; various parts of the US Department of Defense; Australian National Audit Office; Canadian Auditor-General; Canadian Parliamentary Budget Officer; Dutch Court of Audit; UK National Audit Office; various committees of the US Congress and other national parliaments, to name but a few) have repeatedly warned of the cost blow-outs, serious design faults and significant schedule slippages that have plagued the program. So why do the partner governments continue to support the F-35, and insist they will buy the aircraft, despite the fact that its problems have multiplied its costs by a factor of two or three, while its in-service date has been pushed back by almost a decade? 3. Jobs: buying the F-35 guarantees highly profitable, high-tech work for the buyer’s national aerospace industry. To some degree, all three of these statements are inaccurate, at the very least, but somehow – possibly because of Lockheed-Martin’s highly efficient P.R. – they are repeated by government officials all over the world as a sort of pro-F-35 mantra. Ten years on, they warrant a closer look. Calling the F-35 a “fifth-generation” fighter but the first nonsensical claim made about this aircraft. Without going too far into historical details, the US Air force’s first operational jet fighter was the F-80; it was followed by the F-86 Saber, F-100 Super Saber, F-104 Starfighter, F-4 Phantom, F-15 Eagle, F-117 Nighthawk, and F-22 Raptor, each of which represents a generational leap over its predecessor. So, in fact, the F-22 Raptor represents the 8th generation of US jet fighters; just why the US Air Force and Lockheed chose to call the F-35 a “5th-generation” fighter is still a mystery. Hats off to Lockheed’s P.R. staff, then: they coined a meaningless catchphrase which has gained widespread acceptance throughout the world by the sole virtue of repetition “ad nauseam”. And what politician is going to question such an impressive-sounding phrase, and the mysterious and powerful capabilities it implies? But these much-vaunted “fifth-generation” capabilities are not only a misnomer; they are, in fact, much inflated if not over-hyped. First of all, today’s F-35 can barely fly, so all of its claimed “capabilities” actually refer to what it might eventually achieve IF its development program is entirely successful which, given its history over the past decade, is far from certain. Lacking any objective definition, how then do future customers define the “fifth-generation” capabilities they expect of the F-35? The JSF Program Office’s website has a list of new technologies that are integrated in the F-35’s design, and these provide a good idea of what the F-35 is supposed to do if all goes well. Lockheed Martin’s F-35 website also contains a page on fifth-generation technologies. Four recent statements by US Air Force generals, the Canadian Auditor-General and the Rand Corporation provide shorter, boiled-down definitions of what “fifth-gen” is supposed to mean. -- the ability to assume multiple roles. That doesn’t really sound like much of a return for a $400 billion investment, and even less so once one realizes that most of these capabilities are already in service today. In fact, once its magic P.R. cloak is stripped away, “fifth-gen” looks a lot less impressive than it sounds. While they may have sounded revolutionary in the mid-1990s, when Joint Strike Fighter development first began, AESA radars, sensor fusion, networked operations, precision-guided weapons and other capabilities are relatively common 20 years later, and will be widespread once – if? -- the F-35 finally enters operational service sometime in the next decade. -- Stealth: the F-35’s low radar cross-section and radar-absorbent surface coatings (i.e., paint) make it more difficult to detect by radar, but they do not make it invisible. In any case, detection by radar matters less and less because by switching on its radar a fighter becomes as visible as someone turning on a flashlight in a dark room. Stealth, in any case, is a relative concept, and depends on many variables. And, since the first “stealth” aircraft, the F-117, entered service almost 30 years ago, this is hardly a revolutionary capability. But it is, as it and other stealth aircraft have shown, a maintenance nightmare of extraordinary proportions. Furthermore, the F-35 will only be stealthy if it carries nothing under its wings. This means no pylons, so no gun (except for the F-35A, which has an internal gun); no extra fuel tanks; and no large weapons, as the small dimensions of its two bomb bays allow internal carriage of only two Amraam missiles and two JDAM guided bombs. That is not an impressive weapon load for an aircraft that, as Gen. Miller noted above, is intended to penetrate ever-more formidable “growing anti-access, area-denial capabilities” in hostile territory. A final word on the F-35’s stealth: its design makes it less detectable by radar in its frontal sector, but not from the side, nor from the rear, where the laws of physics dictate it will be easier to detect than face-on. The JSF operational concept is that this won’t matter, since enemy ground defenses will be taken out at stand-off ranges, before they can detect incoming F-35s. But taken out with what: the two bombs each F-35 can carry? -- high maneuverability: Contrary to some existing aircraft, the F-35 has no special maneuverability-enhancing design features such as canard forward surfaces, vectoring nozzles or “supercruise” capabilities that exist on other fighters already in service. Its thrust-to-weight ratio is limited and unlikely to improve since the F135 engine has limited growth potential. Two decades ago, the Sukhoi Su-27 unveiled its celebrated “cobra” maneuver, demonstrating a degree of agility that until then had only been dreamed of. But, again, maneuverability is something of a decoy: in modern and future combat, when aircraft are detected and engaged at ranges of over 100 km, whether a fighter is highly maneuverable or not is likely to matter far less than the performance of its sensors or the range and effectiveness of its weapons. - advanced avionics: Full sensor fusion and networking capability already exist, and was notably demonstrated in combat by French Rafales and Royal Air Force Typhoons during the 2011 operations in Libya. This is a capability that the F-35 will deliver at the turn of the decade, if all goes well, so it is hardly revolutionary. The F-35 is equipped with the APG-81 electronically-scanned radar, but this technology is already being retrofitted to previous-generation US fighters like the F-15E (APG-82(V)1 and the F-18E Super Hornet (APG-79); it is also available in pod form (AN/ASQ-236), has been exported to US allies, and is produced or in development by non-US manufacturers like Selex Galileo, Cassidian and Saab. AESA radars also are being retrofitted to the Dassault Rafale and, if the partner nations can agree, will be to the Eurofighter Typhoon. An AESA radar is planned for the future Saab Gripen E/F (also known as Gripen NG), so this will be a run-of-the-mill technology by the time the F-35 finally enters service. The F-35’s networking capabilities are likely to exceed anything that is available today, but the improvement will be a matter of degree, not of nature, because today’s combat aircraft are already networked through the Link 16 datalink, which is already in service and being retrofitted to many NATO and allied fighters. The F-35 also features an innovative Distributed Aperture System (DAS), which consists of sensors mounted around the aircraft that will provide the pilot with a 360-degree, spherical view of his surroundings. That is a very significant technical advance, and will no doubt prove a real plus for the pilot because it will provide unmatched situational awareness – if it works as advertised, however, and if its data is presented in a way the pilot can assimilate and use. 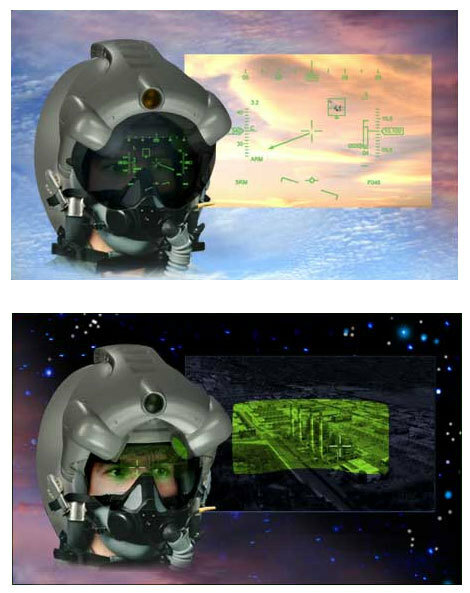 The pilot’s Helmet-Mounted Display System (HMDS) was designed to do this, but it stubbornly refuses to work despite a decade of design and testing. The Pentagon’s Quick-Look Review (QLR), leaked late last year, rated the HMDS a “program-level high development risk” because it is plagued by faulty displays, night vision and image jitters, and latency issues: in short, it is not fit for purpose. Indeed, the QLR noted that it is less functional than legacy (previous-generation) equipment, adding that no satisfactory corrective has action has yet been identified. So dire is the situation, in fact, that Lockheed has asked BAE Systems to adapt its existing Eurofighter helmet display as an interim solution. This leads to a much bigger problem: since the HMDS was going to provide all the information that the pilot would ever need, no Head-Up Display was fitted to the F-35. 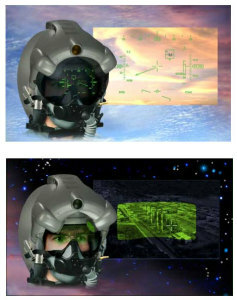 So if whatever helmet display is finally selected cannot provide the same functionalities as HMDS, F-35 pilots will end up having inferior, “old-generation” situational awareness, which is somewhat ironical given what the F-35 promised. This would not be acceptable, so the only fix is a redesign of the entire systems architecture, which at this stage is too complex, too time-consuming and too expensive to seriously consider. Other F-35 “innovations” such as IRST, passive sensors and integrated countermeasures are already operational on Rafale (SPECTRA suite), Typhoon (DASS); they are planned for Gripen NG and are also being developed for retrofit to older US fighters, like the IRST sensors for the US Navy’s Block II Super Hornet, which will carry it recessed into the front of a fuel tank. -- data fusion: Again, the idea of fusing data from all on-board sensors is nothing new, as it has been operational for several years on the latest European fighters, Rafale and Typhoon, and will be operational on the Gripen NG if that variant ever reaches service. French Rafales, for example, use their MICA missiles as additional sensors, and combine their data with that provided by their SPECTRA self-protection suite, radar, IRST, other onboard sensors and data received from other friendly aircraft, AWACS, or ground control centers to present a single, unified and constantly updated tactical picture to the pilot. And it’s becoming ever more banal, as evidenced by the ongoing effort by Boeing and the Naval Air Warfare Center to add a networking capability to the Distributed Targeting System which will soon be operational on the Super Hornet. If, in a decade, the F-35 enters service with a modern data fusion capability, any improvement in terms of data fusion will be a matter of degree, not of nature. --Multirole capability: There is no modern combat aircraft that doesn’t claim to be capable of carrying out multiple roles, but even legacy US fighters routinely carry out widely diverse missions: F-15C interceptor and F-15E multirole/strike; F-18E Super Hornet (Air-to-air; strike/attack and electronic attack), and of course the F-16, whose latest versions are far more capable strike aircraft than the lightweight interceptor it was initially designed to be. The “omnirole” Rafale has, or will, replace seven models of previous-generation aircraft used by the French air force and naval aviation for interception, ground attack, nuclear and conventional strike, and reconnaissance missions; it also has a naval variant. The “swing-role” Eurofighter Typhoon is capable of interception and ground attack missions, and is to gain conventional strike capabilities with stand-off missiles, although these are more limited. As the only Swedish air force combat aircraft, the original Saab JAS-35 Gripen developed since the 1980s was from the very beginning tasked with interception, ground attack, strike, reconnaissance and naval missions, including anti-ship. In fact, JAS is the Swedish acronym for Fighter / Attack / Reconnaissance, so multirole capabilities have been in service for decades. So, again, there is nothing revolutionary in the capabilities the F-35 will bring to the party -- a decade from now, if all goes well, and at a cost of over $400 billion. But there are considerable limitations to the F-35’s own vaunted multirole capabilities. To remain stealthy, it can carry only internal weapons (two bombs and two air-to-missiles), which severely limits its combat firepower. Its internal weapon load, at 4,000 lbs., is inferior to that of the F-117 Nighthawk, which could carry 5,000 lbs. of assorted internal stores in its internal bomb bays, so in this respect the F-35 is less capable than its stealth predecessor. The governments of several F-35 partner countries, including Canada, have tried to justify their choice by claiming that they need the F-35 to be able to operate with the United States as part of future coalitions. This is another nonsensical claim that has only gained traction because of the incompetence of politicians and the gullibility of their electorates. In just the past decade, the US and their allies have carried out joint air operations in the former Yugoslavia, during both Iraq wars, in Kosovo, in Afghanistan, and most recently against Libya, while operating very different kinds of aircraft. In fact, there is no need to fly the same aircraft: The only real requirement for joint operations is that participants be able to talk to each other and to exchange data, and this they have been able to do for decades. It is also desirable that staffs and pilots have previous experience of working together, and this is one thing that NATO does very well, and that bilateral exercises and bigger events like Red Flag routinely provide. Also desirable, but lower down the scale, is that aircraft be able to refuel and rearm on allied air bases, and again this is already possible in the case of all NATO members (who use ground equipment to common standards) and the many allied countries who use European, French or US-made aircraft. Even Russia uses NATO-standard ground equipment, as French officials discovered to their surprise back in the late 1970s, when a squadron of MiG-23s visited the French air force’s famous Normandie-Niemen squadron at Reims air base, and were able to refuel and turn around using the base’s ground equipment. The inanity of the F-35’s interoperability claims was clearly stated by NATO's supreme allied commander transformation, Gen. Stephane Abrial, a former fighter pilot and chief of staff of the French air force, when he testified before the Canadian House of Commons Defence Committee on May 3. According to a May 4 report published by Canada’s Postmedia news, Abrial told the committee that “We do not advocate a single type of aircraft, single type of ships, single type of rifles….We never wanted to make sure everyone has the same equipment: that's not our goal." Abrial said interoperability has to do primarily with training and ensuring all NATO forces have sufficient skills to function as one on the battlefield. The minutes of the hearing can be found on Canada’s Parliamentary website. In any case, the F-35 itself is not as suited to coalition operations as its proponents claim. In fact, its design requires modifications to “…allow coalition training operations for the Joint Strike Fighter Program,” according to the terms of a $14.1 million contract that Navair awarded to Lockheed on May 8, 2012. Both these awards testify to the differences between US and non-US versions of the F-35, and to the fact that US and non-US aircraft require modifications to train together. While comparatively small, these contracts should however finally put to rest the myth that the F-35 is required to allow coalition operations between US and allied air forces. Hopefully, no-one is holding his breath. Lockheed Martin Corp., Lockheed Martin Aeronautics Co., Fort Worth, Texas, is being awarded an $18,981,928,201 cost-plus-award-fee contract for the Joint Strike Fighter Air System Engineering and Manufacturing Development Program. The principal objectives of this phase are to develop an affordable family of strike aircraft and an autonomic logistics support and training system. This family of strike aircraft consists of three variants: conventional takeoff and landing, aircraft carrier suitable, and short takeoff and vertical landing. Under this contract, the contractor will be required to develop and verify a production-ready system design that addresses the needs of the U.S. Navy, U.S. Air Force, U.S. Marine Corps and the United Kingdom. Work will be performed in Fort Worth, Texas (66%); El Segundo, Calif. (20%); and Warton/Samlesbury, United Kingdom (14%), and is expected to be completed in April 2012. Contract funds will not expire at the end of the current fiscal year. This contract was competitively procured through a limited competition; two offers were received. The Naval Air Systems Command, Patuxent River, Md., is the contracting activity (N00019-02-C-3002). All of the above demonstrates quite clearly that, based on the same definition as used by the F-35’s manufacturer, its operators and objective outside observers, the “fifth-generation” capabilities claimed for the aircraft amount to little more than what is already operational today. Only its “stealth” design features offer a real “plus” over previous-generation aircraft, but “stealth” only works in some circumstances, and only against some types of radar sensors, so the F-35 is a very long way from being the nearly invisible as its backers claim or imply, capitalizing on policitians’ and the public’s ignorance of most matters technical. The F-35’s Distributed Aperture System would give pilots a real plus over most existing aircraft in terms of situational awareness, but if – and only if – its data fusion works, and if the completed picture can be presented in a way pilots can assimilate and understand. The fact is that, today, after ten years and $50 billion, the F-35 flight test program has demonstrated none of its over-hyped “fifth-generation” capabilities, which are in any case incremental improvements over existing capabilities rather than the revolutionary quantum leaps they are made out to be. The second part of this article will examine the F-35 program’s co-production arrangements.